Can't find the custom baby gifts you are looking for? Need a unique gift for a newborn or baby shower? 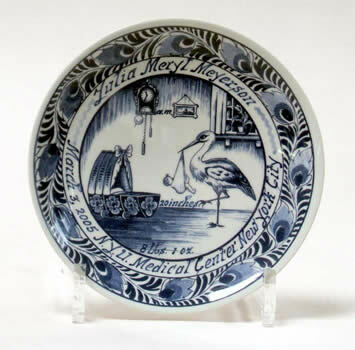 We offer our classic delft blue style dutch birth plates and tiles in the 6, 8 and 11 inch size along with a new style color 8 inch birth plate. Wedding and anniversary plates and tiles are also offered. John Braat and Company has been importing these beautiful dutch birth and wedding plates from Holland for over 50 years. All of our plates and tiles are produced in Schoonhoven, Holland and shipped directly to you. Your personalization information is hand painted in Schoonhoven prior to finish firing. 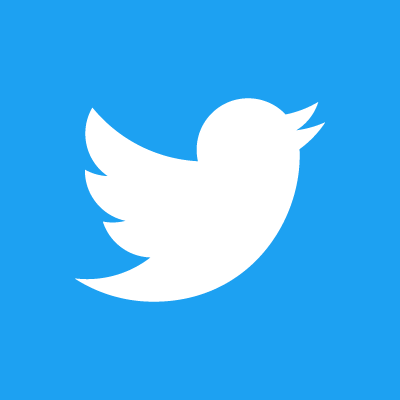 Because of this, you can expect the same high quality matching delft blue color in the personalization text as you get in the plate itself. Personalized birth plates and tiles are a wonderful baby shower gift and are a keepsake every parent will treasure for years. Each birth plate or tile is hand personalized with the child's name, date of birth, time of birth, place of birth, birth weight, height and optional personal message painted on the back of the plate. Personalized wedding plates and tiles make a unique gift for newly married couples and are a welcome change from the usual department store gifts. They will be treasured for years. Each wedding plate or tile is hand personalized with the groom name, bride name, wedding place, wedding date and optional personal message painted on the back of the plate.